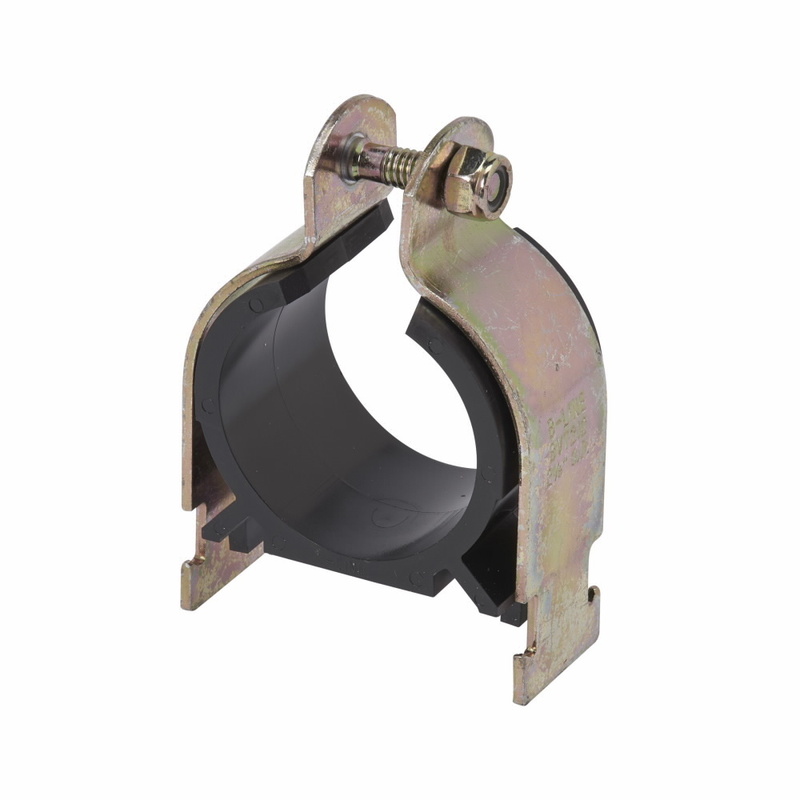 Detailed Description: Cooper B-Line BVT VibraClamp™ Pipe clamp is made of copper with zinc-electroplated finish for added strength and corrosion resistance. It accesses copper tubes having outer diameter size of 2.125 Inch. It measures 3.520 Inch x 2.700 Inch. It dampens vibration and noise and reduces thermal loss by resisting most industrial oils and solvents. It secures tubing firmly to channel and withstands maximum temperature up to +300 deg F. It is provided with cushion, clamp, screw and nut to give an easy one tool installation. Clamp is UL listed and CSA certified.